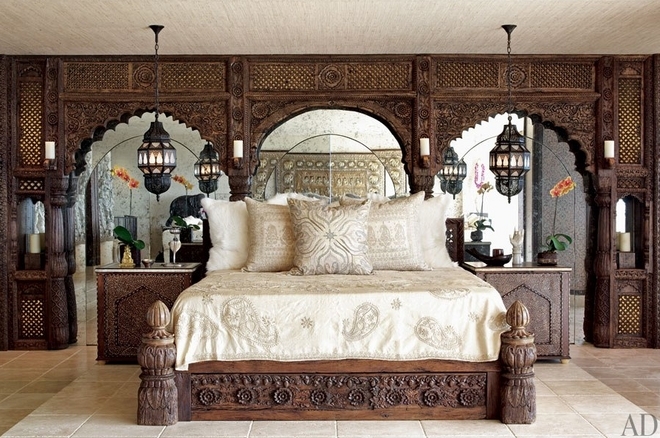 If you’re looking to bring an exotic yet elegant feel to your bedroom, you should consider the elegantly mysterious elements found in Moroccan style décor. 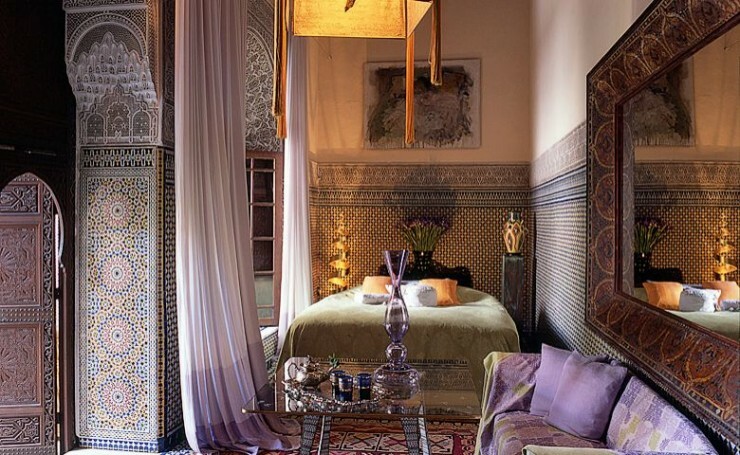 The exotic nature and vast assortment of patterns and colors found in Moroccan furniture and accessories make it a popular choice for designers. 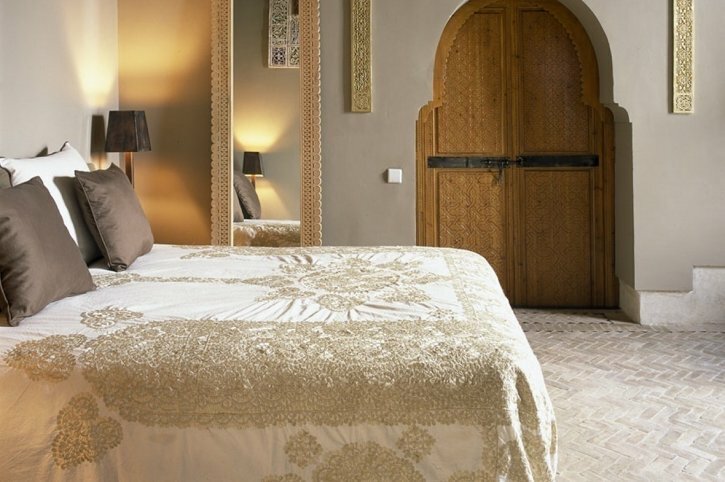 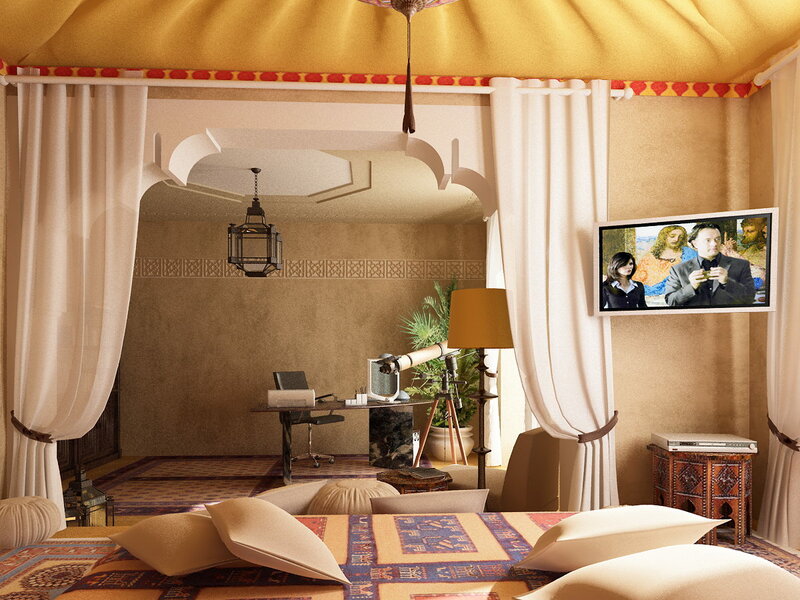 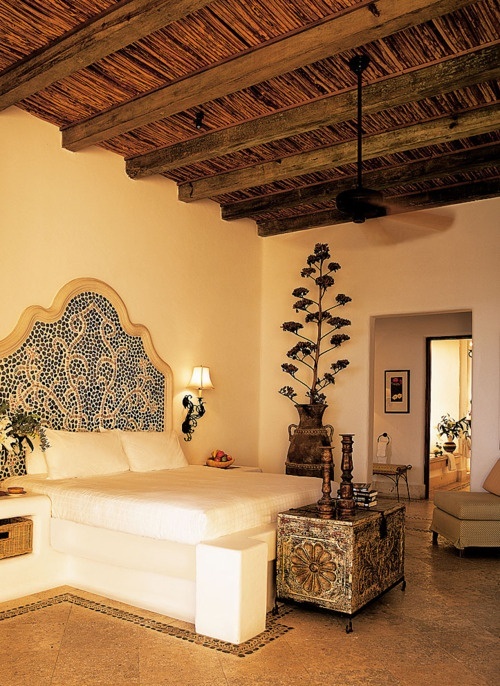 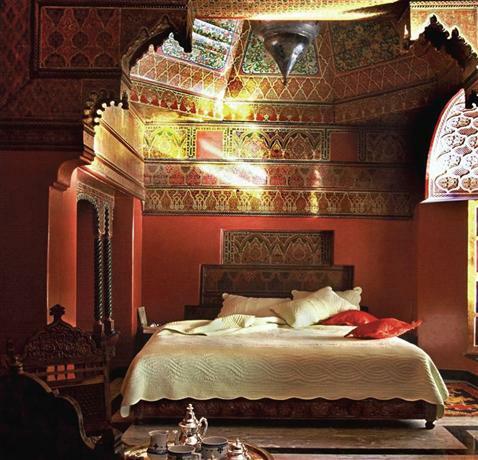 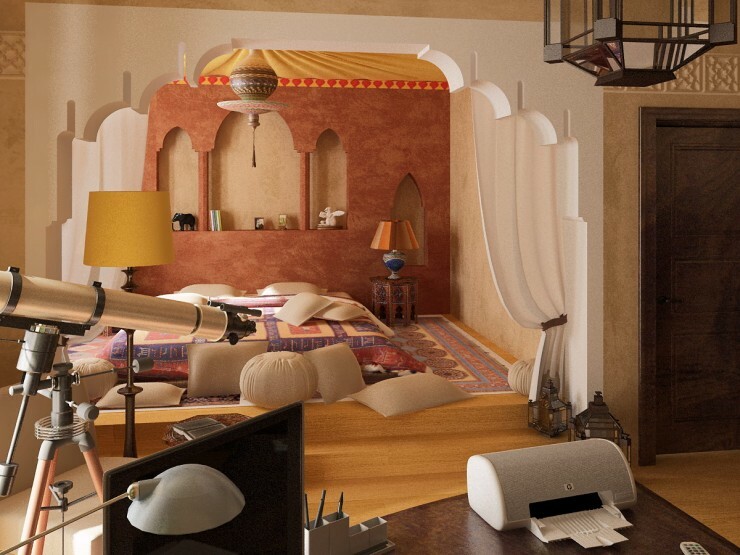 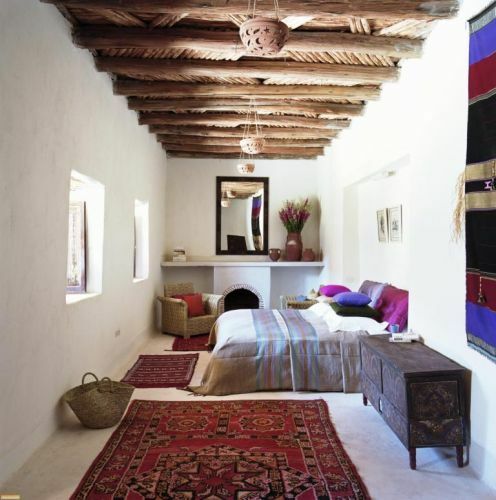 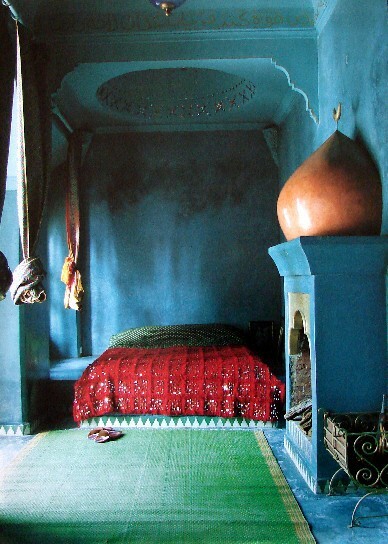 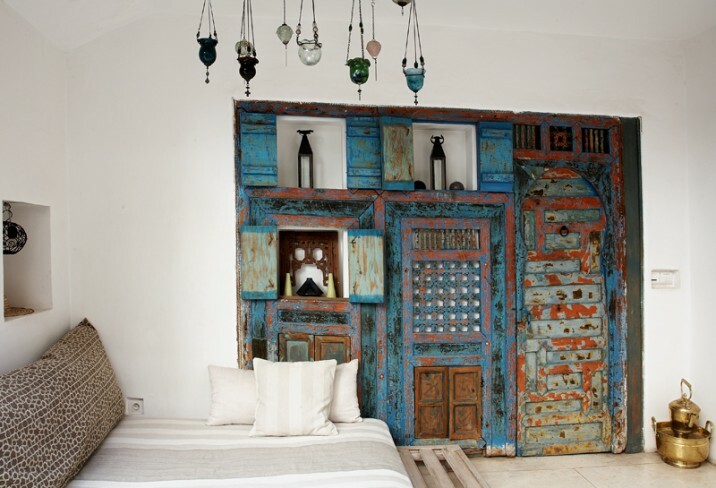 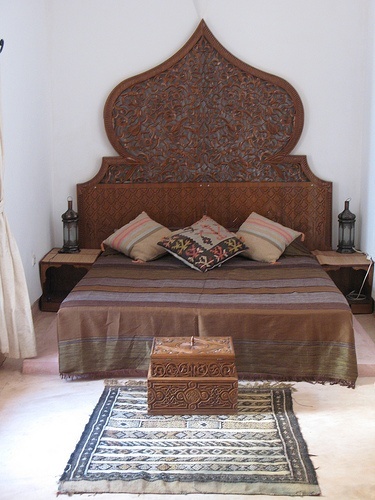 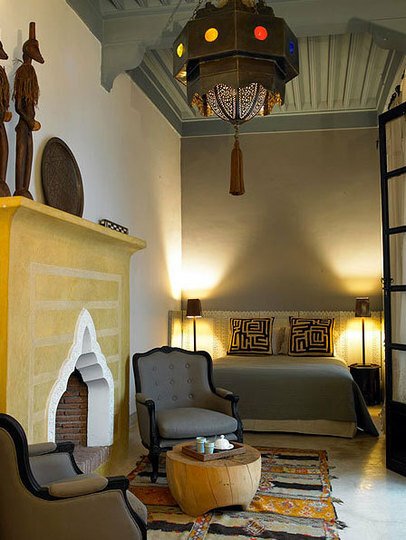 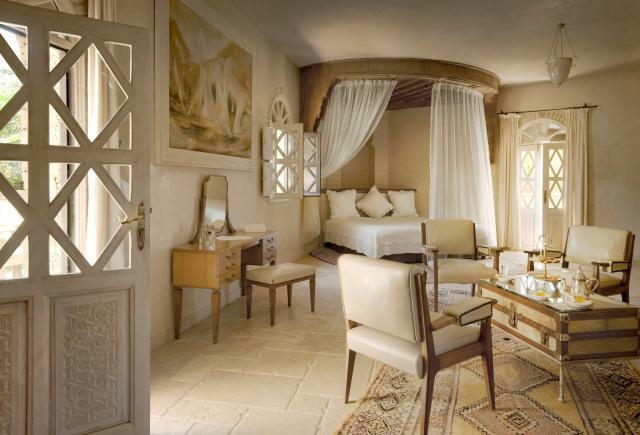 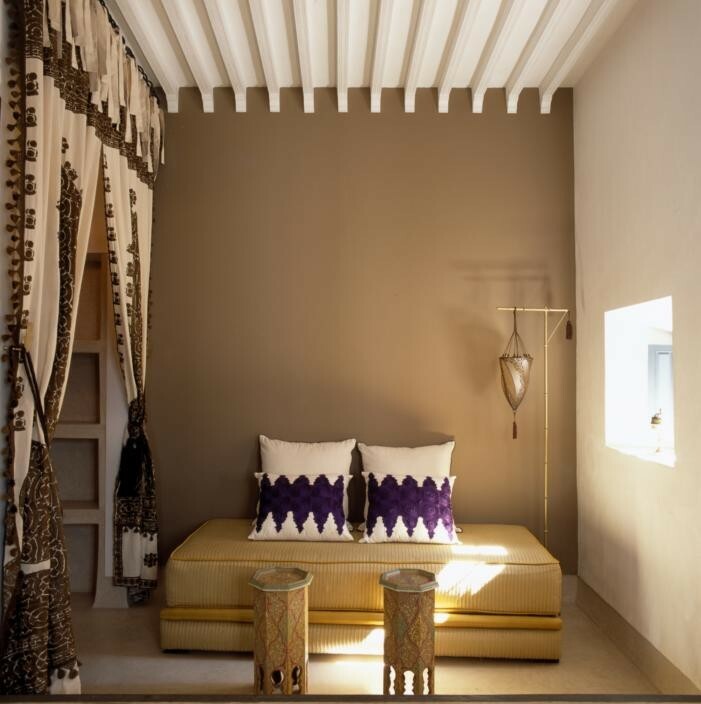 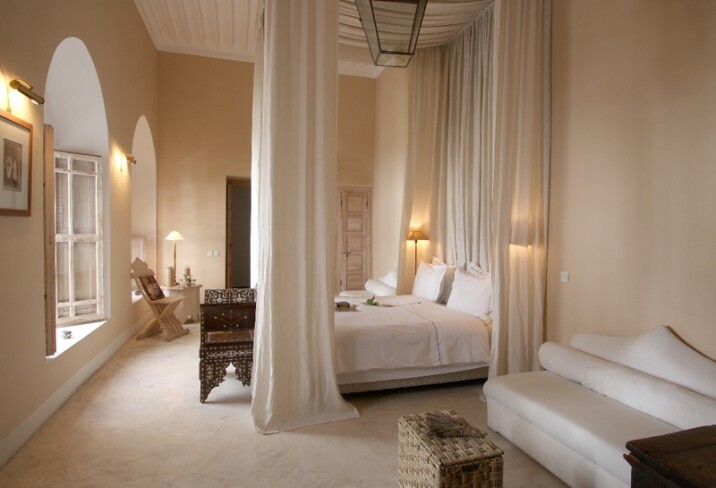 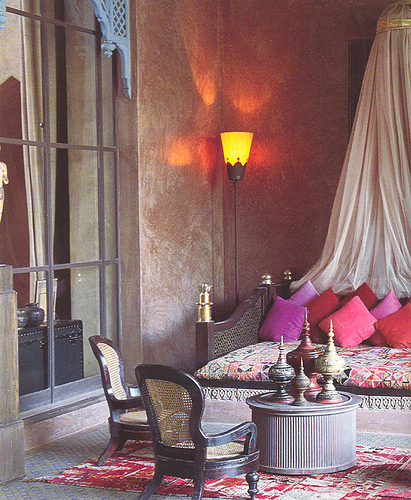 A Moroccan themed bedroom looks gorgeous and very comfortable. Be as creative as possible. 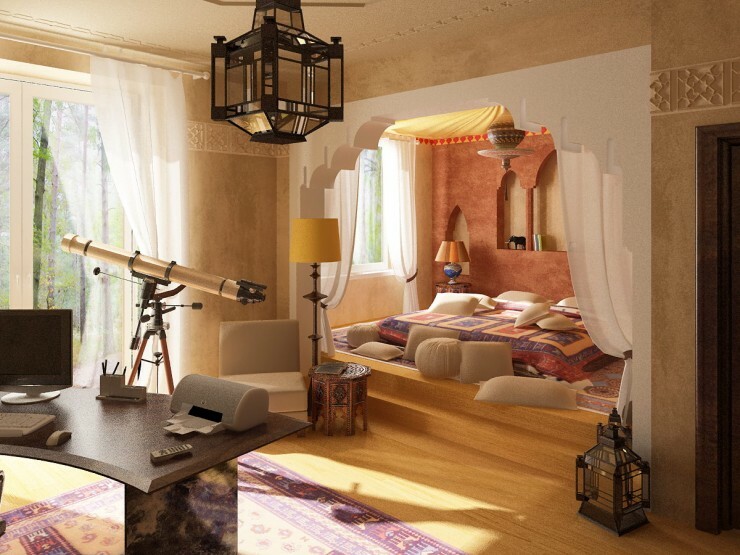 Rendering by Alexander Nesterov for architects Lebedeva Ekaterina and Finogenova Vera. 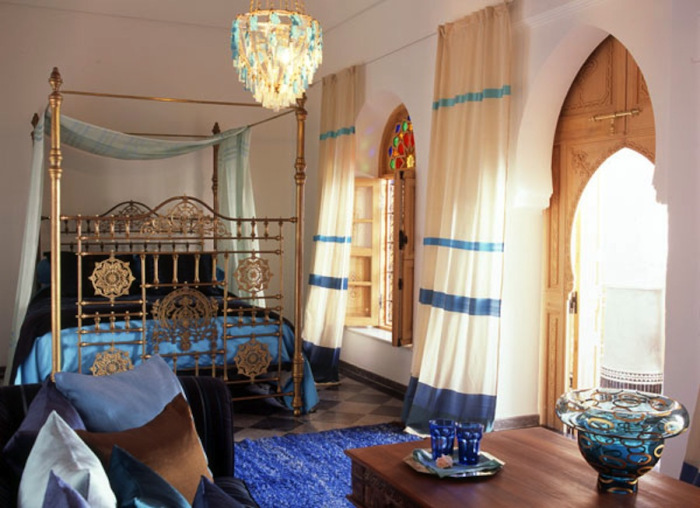 Elegand Moroccan bedding set by Bliss Living Home . 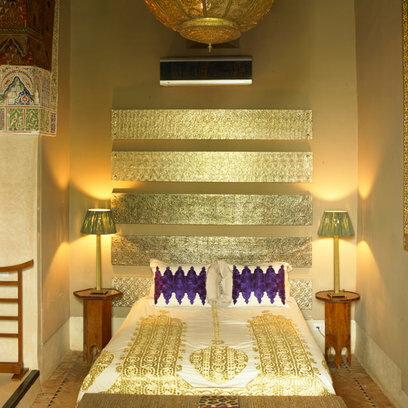 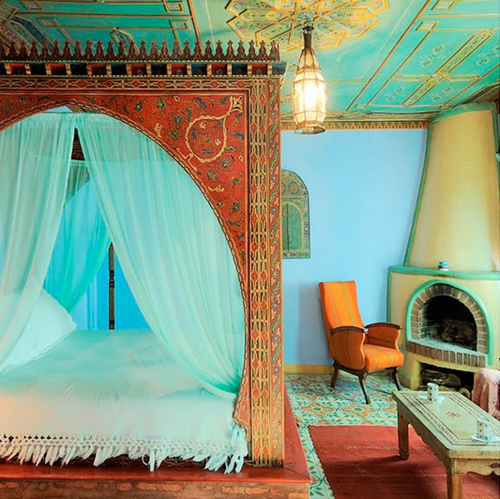 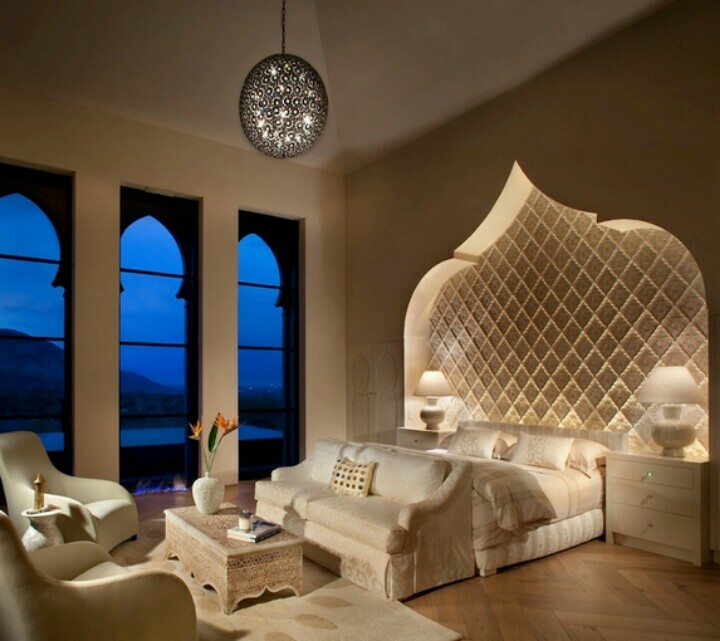 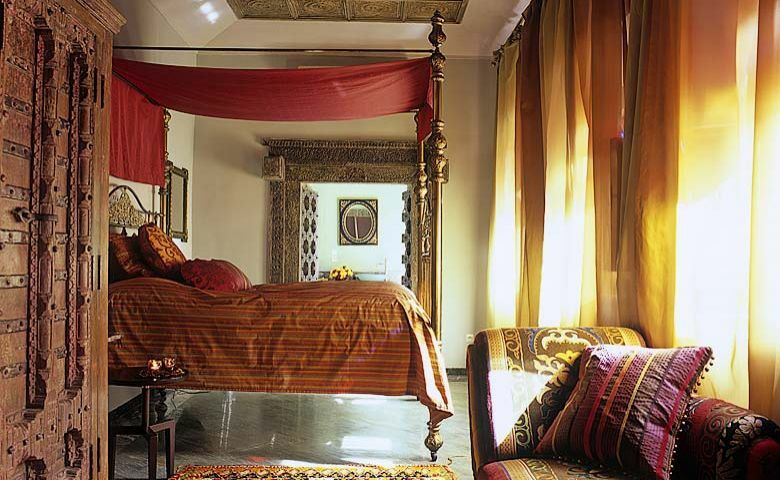 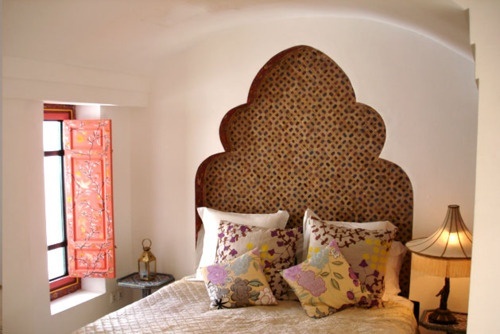 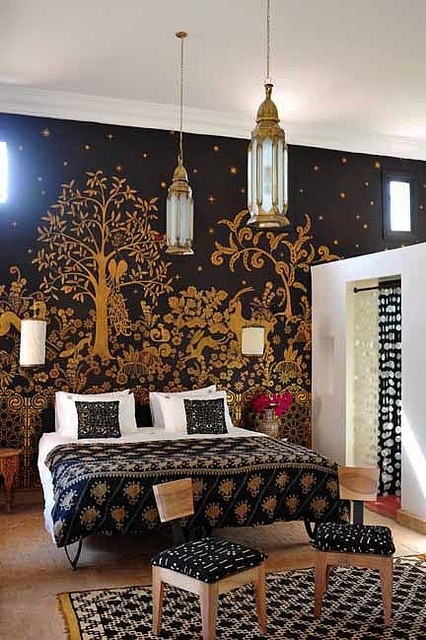 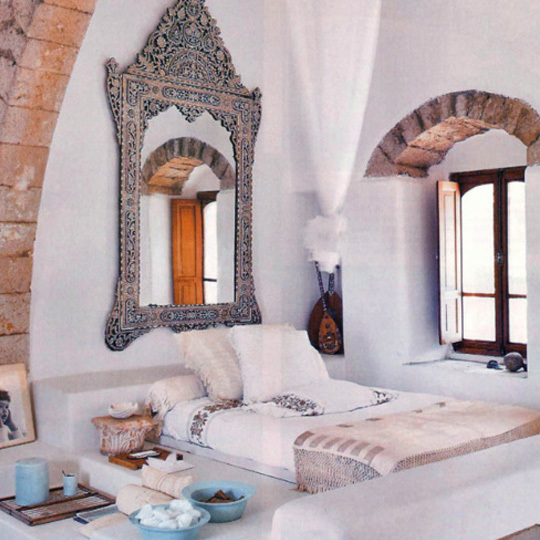 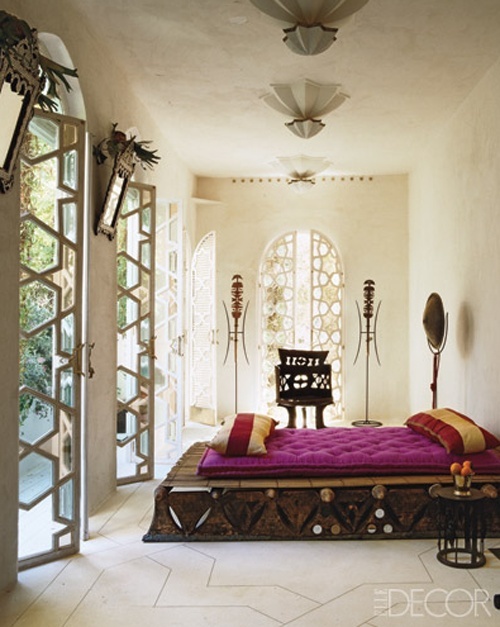 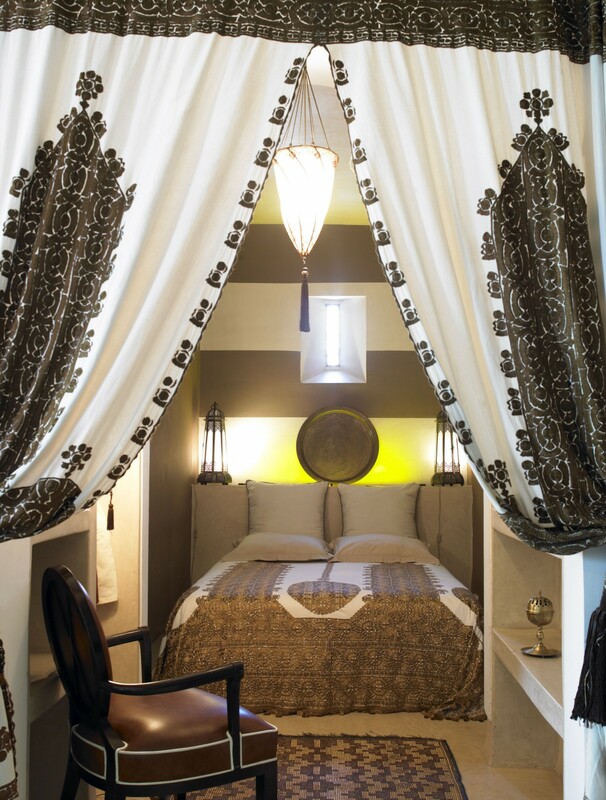 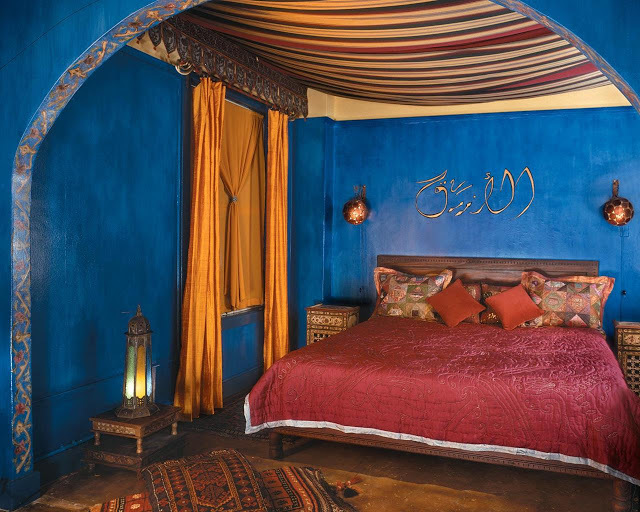 Cher’s Moroccan themed bedroom decorated by Martyn Lawrence Bullard. Vibrant colours – such as cerise pink and lime green – pop against an aubergine-coloured backdrop. 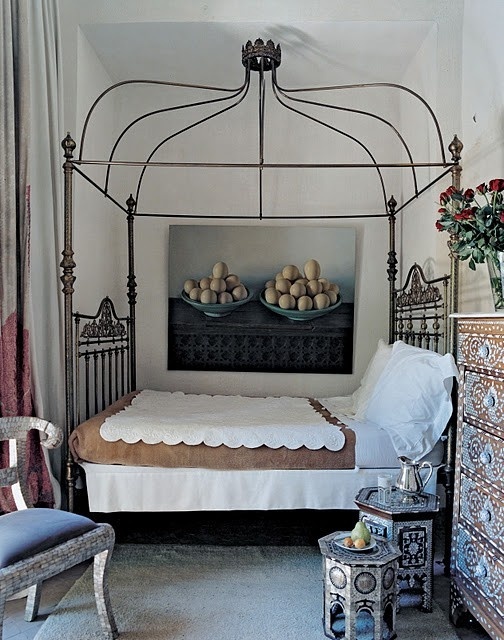 Delicate detailing in pressed-metal furniture and hanging lamps is picked up in appliqued bed linen and a pretty stenciled border to pull the scheme together. 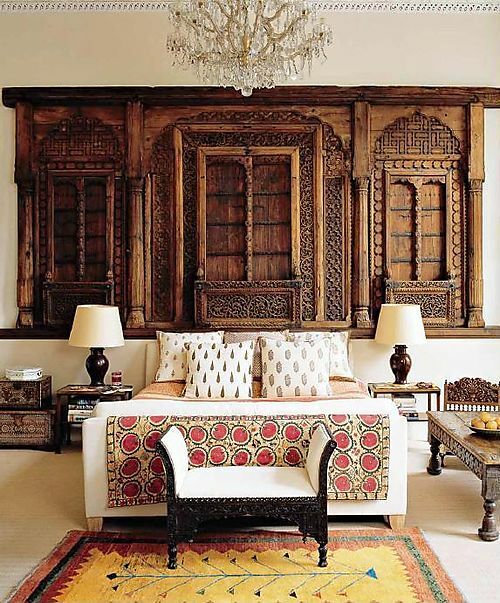 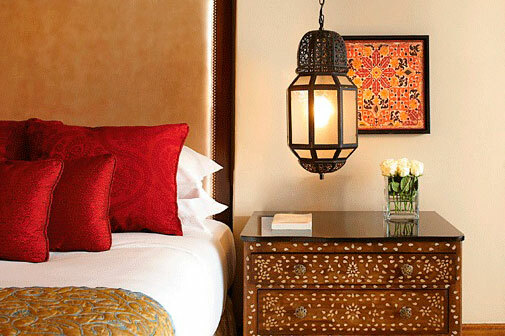 Traditional Moroccan interior design style brings crafty Moroccan lamps and skilfully carved wood elements for Moroccan furniture, doors, windows and mirror frames decoration. 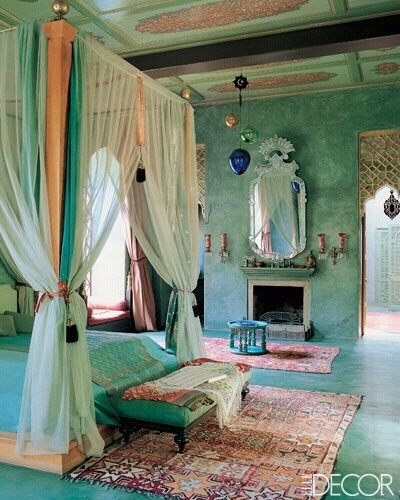 Strong color for Moroccan style bedroom. 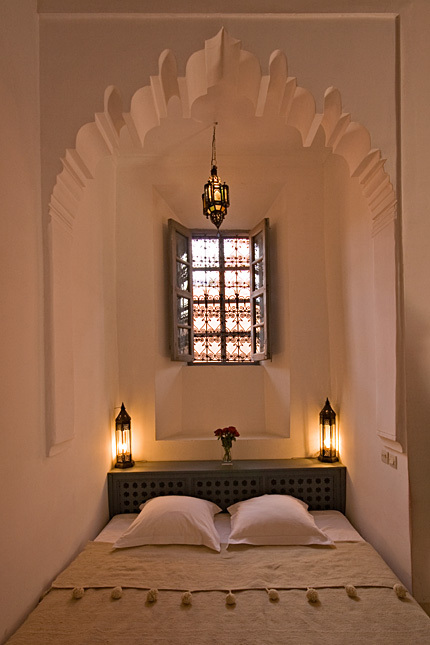 Ryad Dyor, a modern moroccan ryad. 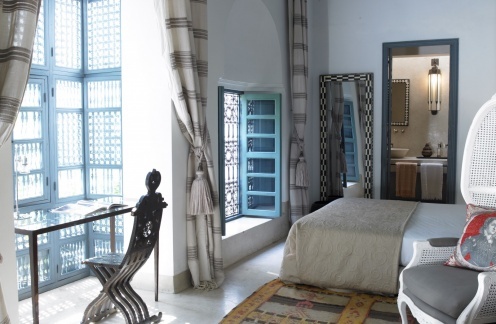 The traditional courtyard building is over 300 years old, but it’s been updated with modern grays, browns, and ochres. 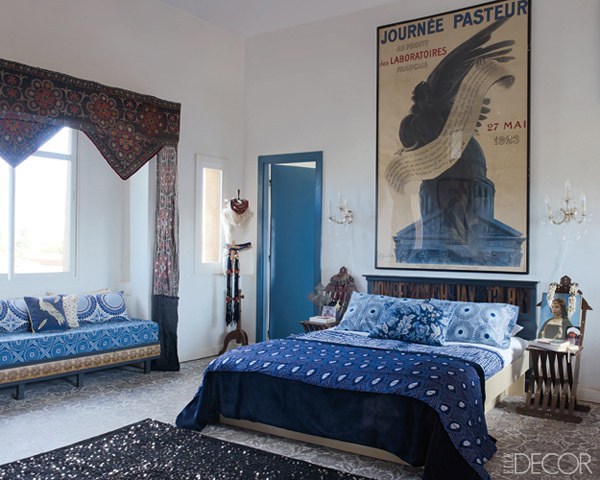 Intricate patterning is everywhere in Marrakech, and the Ryad Dyor has its fair share, but for every lacy, detailed metal grill there’s an open expanse of blank wall — in other words, the designers were careful to balance traditional influences with modern sensibilities. 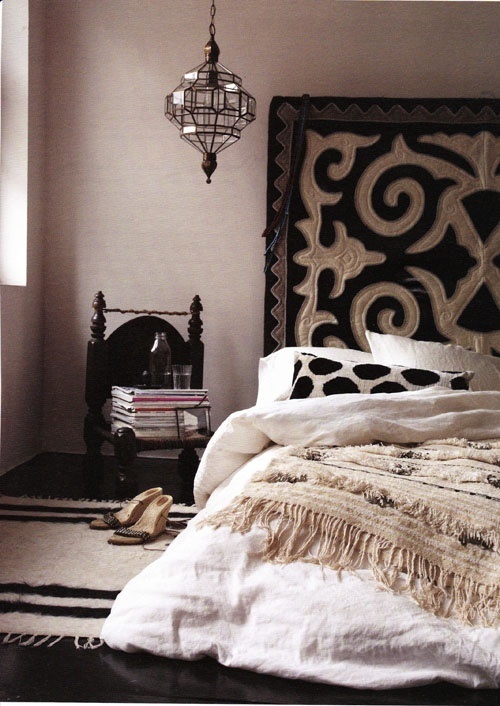 There’s also a nice mix of African and European furnishings, textiles, and accessories. 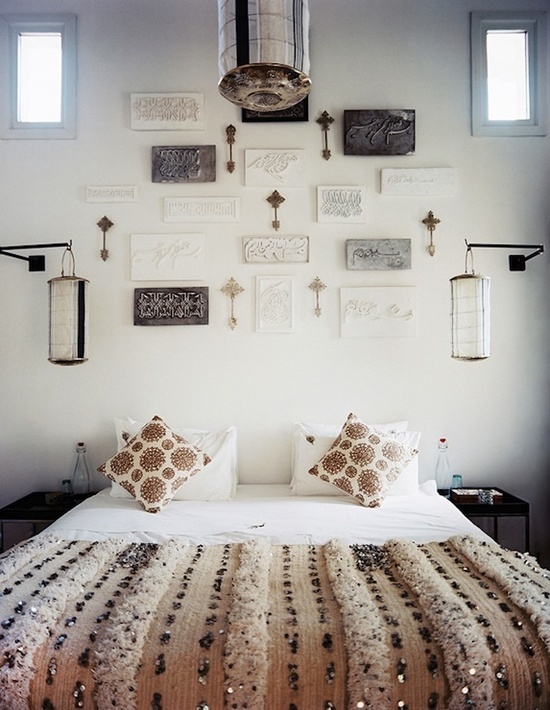 Loving the creativity on this one. I couldn’t possibly come up with this many good themed bedrooms myself – great work!